Looking to transition from our 25 outlaw to a 27' open bow. What's out there that will run mid 60s? Is 272 Islander with a 502MAG a good option? Last edited by Tcurrie; 01-15-2019 at 07:57 PM. Why not have the 25 outlaw converted to an open bow? It would be similar to a Nordic Rage. We did that to our current boat and have no regrets! Great opening post. Kinda like " Best Mini Van for getting super models into the sack " Darr never sleeps. dykstra and IGetWet like this. Ive already had 4 kids with the super model, now time to find something with more room. Wobble and larslindroth like this. I believe that Hallets are a higher performing open bow. I love 272 Islander (although I think Hallets are nicer) and did 63gps with a GMZZ502 engine horses since upped a 100 horses but haven’t had the chance to try it yet, but honestly, anything over 60 in an open bow gets hairy unless you have EVERYTHING stowed away. larslindroth and Tcurrie like this. Look for West Coast style boats. 28 Nordic, Eliminator, etc. Might even be a few 288 Sunsations with mid cabins/open bow. A 272 Islander will run low 60's with a 502mag. dykstra, larslindroth, blownhammer2000 and 1 others like this. Found what looks like a very good buy on Riverdavesplace forum. A 1999 Advantage 27 Victory Open Bow, 107 hours on the boat, with a brand new 620 hp $20k motor from Boostpower in California. 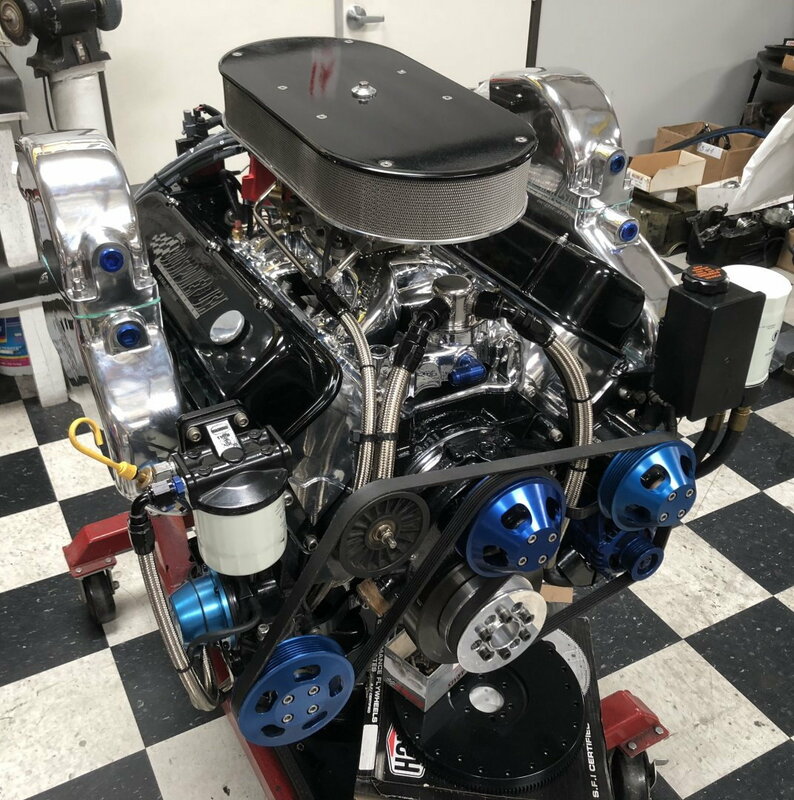 Boostpower is THE boat engine builder in California, maybe United States? 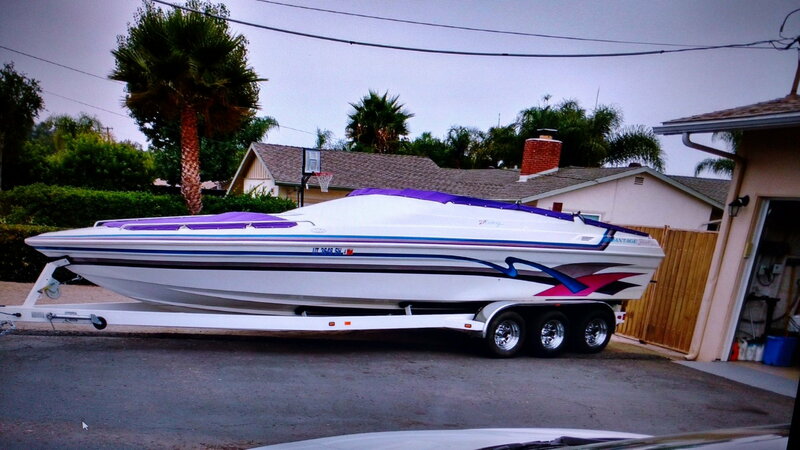 The owner got a new boat from Advantage and the boat is there on consignment since a couple of months. Was $55k asking and since November $45k. Bet the owner is motivated. The 27 Victory was Hot Boat Magazine boat of the year in the 90's when it came out. It certainly does very well in 2'-3' chop, but its a high performance lake boat and not an offshore boat. Speed around 75-80 mph WOT. Last edited by larslindroth; 01-16-2019 at 03:17 AM. Unless you are stuck on I/O's, buy a center console. You won't regret it. Mentalpause and bmedfo1 like this. Everything I've read, Sunsation 28 MCOB gets a very good rap. Griff, Mentalpause, dykstra and 3 others like this.